My name is Lorraine Murray and I am the founder (and published author) of the Connected Kids programme. For over 30 years I have practised meditation and I’ve been teaching it since 2003. I began the journey of teaching meditation to kids/teens as it seemed to make sense that our kids would benefit from these skills to reduce stress, anxiety and to build their self esteem. As an international trainer, and an author of 2 published books on this subject, I have witnessed many benefits for children. I am a passionate, intuitive and experienced meditation teacher and wish to share these skills with you. 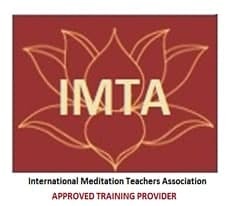 Alongside our online programme and the certified training I offer in the UK, we have a team of brilliant, committed trainers in the UK and Ireland offering our connected kids programme (to teach you how to teach kids meditation). When our Connected Kids Tutors are certified they offer bespoke, experienced support for families and private organisations to help children and teens learn mindfulness and meditation skills. Author of “Calm Kids – help children relax with mindful activities” over 30,000 books sold worldwide! Author of “Connected Kids – help kids shine through mindful activities” specialising in kids with autism/adhd/special needs. Awarded the National Parenting Product Recognition Award in 2018. In 2003, I decided it was time for society to address the growing level of stress young people were experiencing. So I decided to write books about my experiences of teaching and set up our Connected Kids Programme – showing adults how to take a heart-centered approach to teaching children and young people meditation and mindfulness. My practice of teaching children was produced into the first book published in 2012, ‘Calm Kids – help children relax with mindful activities’ (also translated into Chinese, Dutch and Romanian) and has sold over 30,000 copies worldwide. The book helped found the worldwide, accredited teaching programme, ‘Connected Kids‘, empowering parents, educators and other professionals with the skills to teach children of all ages, meditation and mindfulness. My 2nd published book (2014), ‘Connected Kids: Help Kids With Special Needs (and Autism) Shine With Mindful, Heartfelt Activities’ is an international best-seller. It outlines the techniques, based on our direct, case study research into teaching mindfulness skills to young people with additional support needs. Whatever you choose to do, the very fact that you are here suggests that you can make an important, mindful contribution to young people. I hope you choose to connect with our vision.